InsidetheGames Wednesday, 14 February 2018 – World Baseball Softball Confederation (WBSC) have confirmed today that they have merged the Confederation of European Baseball (CEB) and the European Softball Federation (ESF) into WBSC Europe. The move, approved unanimously by 38 national baseball and softball federations at a meeting in Paris, has been made to extend the WBSC brand and structure on a continental level. The WBSC say the merger "aligns with the governance, strategic plan and precedent set at the world level, with the merger of the international baseball and softball federations, which led to the founding and ratification of the WBSC at the World Baseball Softball Congress 2014." The transition from the two separate organisations of the CEB and ESF to the new WBSC Europe model will be managed by a 10-member interim board, with CEB President Didier Seminet and ESF President Gabriel Waage appointed as co-chairmen. WBSC President Riccardo Fraccari said the move was designed to help baseball and softball's ambitions of becoming a more permanent member of the Olympic programme. The sports will return at Tokyo 2020 after being axed following Beijing 2008. 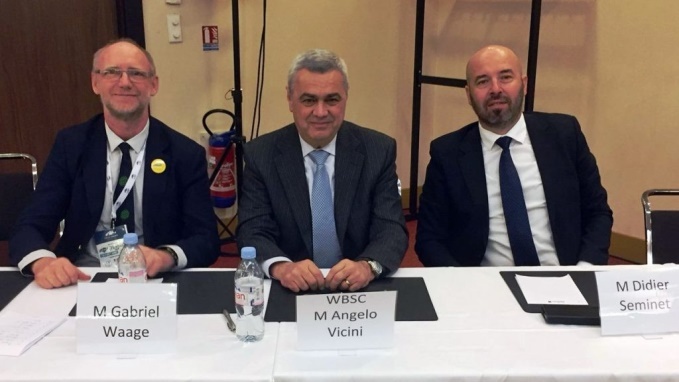 "The establishment of WBSC Europe - uniting the baseball and softball movements in this pivotal growth market - is another historic step toward building a billion-member community over the next decade, and becoming a major global and long-term Olympic sport," said Fraccari. "WBSC applauds the leadership and shared baseball-softball vision of CEB, ESF and all the European national federations on this historic day." New WBSC Europe co-chairmen Seminet and Waage added in a joint statement: "We are confident that the new WBSC Europe body will both streamline and reinforce the promotion of baseball and softball throughout Europe, and also cross-promote and enhance the marketability of the WBSC Europe Championships, which will serve as qualifiers for WBSC's Baseball World Cups and Softball World Cups." Other recent WBSC reforms include the rebranding of the Softball World Championships into World Cups in a bid to make the sport more appealing.